I would in the case of a young adult offender, still allow him a chance to reform himself as the difference between an adult offender and a young adult offender, is that, the latter does not fully comprehend the consequences of his misdemeanour when he / she embarks upon it, the Judge said while suspending the punishment imposed on the student. 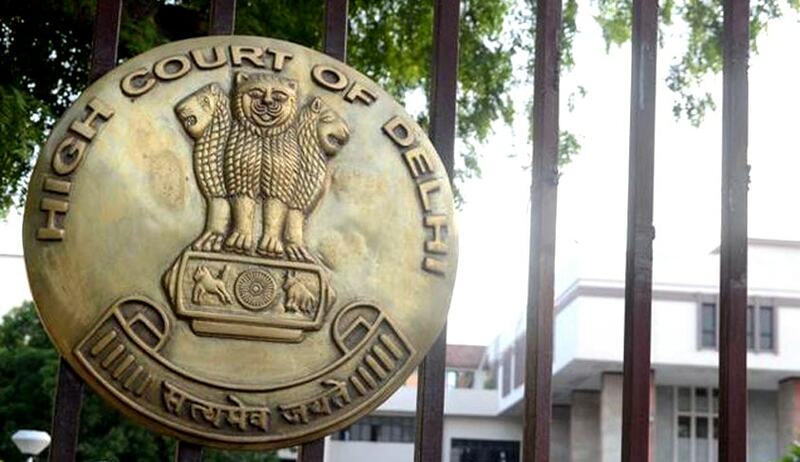 Delhi High Court has suspended a disciplinary action against a student, which had debarred him from entering the college premises, attending classes, from participation or representing the college in any of its activities, and to appear in the university/ college examinations, for one year. The Court, taking note of the young age, suspended the punishment imposed by the Principal for the remaining tenure of the petitioner upon executing an undertaking of good behaviour with certain conditions. The disciplinary committee had found that petitioner had asked one foreign student, who had visited the college, some inappropriate questions, which included, questions as to the number of boyfriends she had and, as to whether, she had had multiple sexual partners. He also offered to take her for a car ride, in the evening, contrary to the red-lines laid down by the college andhe took her to a secluded area, in the BMS Block of the college and, despite her resistance, sexually misbehaved with her. The committee’s report was accepted by the Principal who debarred the petitioner from entering college premises for a year. The student submitted that he should be dealt with leniently having regard to his young age. Otherwise, it will completely obliterate his career and his dignity, which may inculcate resentment and derision towards the society as a whole, he said. The Court said that petitioner was clearly involved in the act of misdemeanour and the inquiry was both fair and impartial and the petitioner was given due opportunity to defend himself. However, The Court observed that while sentencing, the educational institutions have to consider that any punishment imposed by them which leads to an outright denial of the right of a delinquent young offender to education, is required to be based on a compelling State / public interest.The rationale behind a different regime being followed world over vis-a-vis young offenders, is to prevent recidivism. It is felt that recidivism can be prevented if, young offenders are dealt with, appropriately, with due sensitivity, at an early age, the court said.The Court also said that, before sentencing the offender, the sentencing authority should ask of itself, in the context of offence committed: the degree of harm or unpleasantness that a punishment should visit upon an offender. The court took note of the apology tendered by the Petitioner, and said that it shows the petitioner now realizes the consequences of his misdemeanour. The question, therefore, is: should the sentencing authority in the case of a young adult offender (i.e. the petitioner), treat such an apology as a contrived? And if so, to what effect? To my mind, even if one were to accept the argument that the apology was an act of self-preservation, I would in the case of a young adult offender, still allow him a chance to reform himself as the difference between an adult offender and a young adult offender, is that, the latter does not fully comprehend the consequences of his misdemeanour when he / she embarks upon it. There is scientific and medical literature which distinguishes between physical, mental, social and emotional maturity of a young offender, Justice Rajiv Shakdher said. The court also said that the Petitioner is a young adult and would have to be dealt with differently. Punishment suspended, but with conditions. The following conditions were imposed by the Court while suspending the Punishment imposed by the Principal. In case any other act of misdemeanour [which comes within the ambit of offences prescribed in clause 3 of the Ordinance XV(B)] is committed by the petitioner, he will, serve the entirety of the remaining sentence. The Petitioner, will report to the Principal every month, on a date andtime assigned to him. The Principal will call for a report from the concerned faculty member with regard to the petitioner’s general behaviour, conduct and disposition. The parents of the petitioner shall remain present at such monthly meetings. The Principal, at such meeting(s) will have the concerned faculty members (who would have dealt with the petitioner in the relevant period), participate in such a meeting. The Court also added that the undertaking of good behaviour shall be filed within two days from today in the form of an affidavit with the High Court; with a copy to the College. In case the petitioner commits fresh offences, the court said that, condition (i) will get triggered automatically, and the Principal, will be the sole judge of this aspect of the matter.